the history to fit the setting. This barn utilized board and batten application of 1 inch material and 2 inch trim of the same ranchwood™ Western color to highlight the doors and windows. 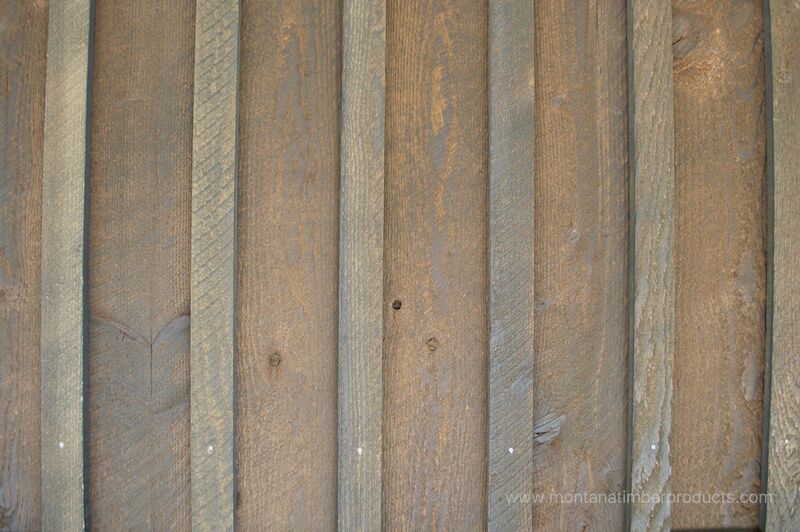 The highlight of the circlesawn texture helps bring the detail of the natural wood siding and highlights the era of roughsawn sawmills. Use of the 2 inch trim really helps to frame the doors and windows and accommodates the depth needed for the board and batten application. The wood siding and trim are perfectly accented by the rock wainscoting. 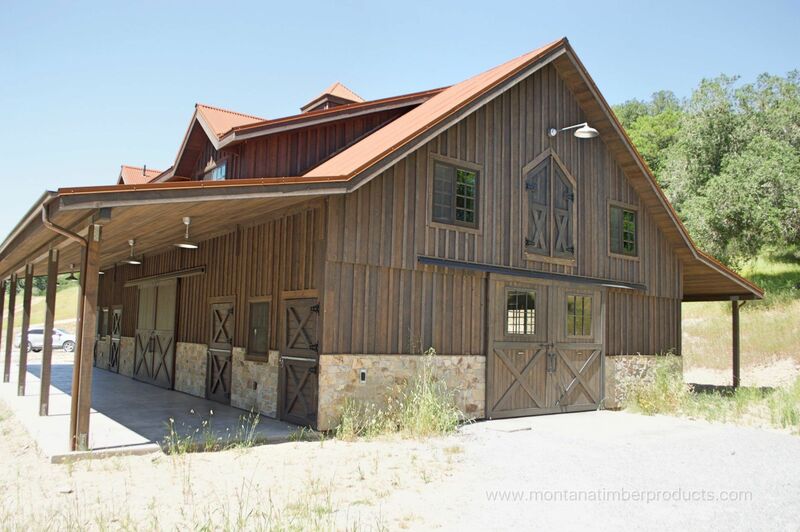 Montana Timber Products is a specialty wood products manufacturer of rustic wood siding, interior accents, reclaimed wood, and barn wood alternatives. Our ranchwood™, AquaFir™, Charwood™, and Corral Board product lines offer a full selection of exterior and interior rustic wood materials.